Major changes to the format of our courses! One payment enables access to all associate courses and exam engines. Course have been updated to 2016 and format has been changed to make study easier. 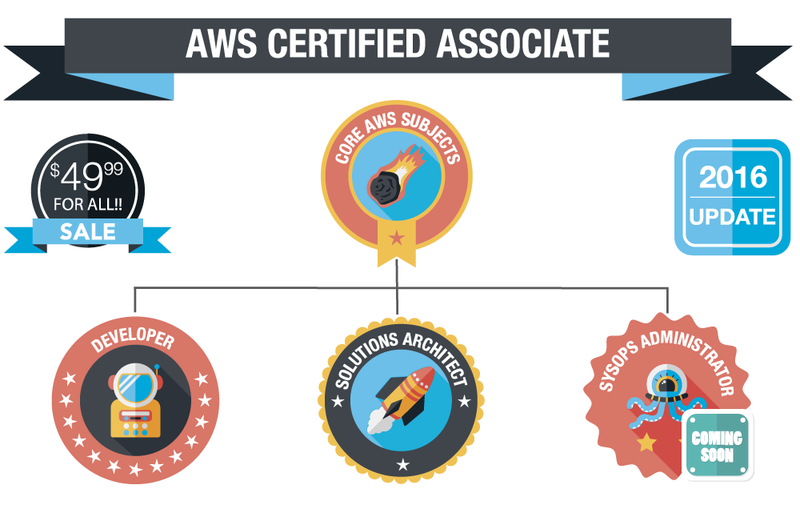 Core AWS subjects that are relevant to all streams are in a separate course and then the specific subjects for the three streams are in separate courses. Next week we will be adding the SysOps Administrator exam engine followed by the course material the following week. This will also be added to any existing customers for free.